Going into Tuesday night I was rather concerned. Captain Rooney had done nothing against Everton and it seemed like I was due for my usual poor week after a good week. I needn’t have worried in the end. A Rooney double from two Valencia assists and five bonus points between them meant my score jumped to 81 for the week. Not great, but not too bad all things considered. The Carling Cup final this week means Aston Villa and Man Utd don’t play and neither do Hull or West Ham. I imagine lots of people have brought in the likes of Milner and Agbonlahor after their week 27 exploits but that’s a little silly as they’re going to miss next week too. I can just about put a full team out this week but that depends on one or two injury concerns. Maverick approves of Valencia's second Top Gun. Antonio Valencia justified the four point hit I took to bring him in with 16 points with three assists and a couple of bonus points too. I imagine he’ll be back ahead of Nani now in the terms of the starting XI. There were some big scores right behind him with Givet, Rooney and Downing all getting 15 points. Nine other players got into double figures. 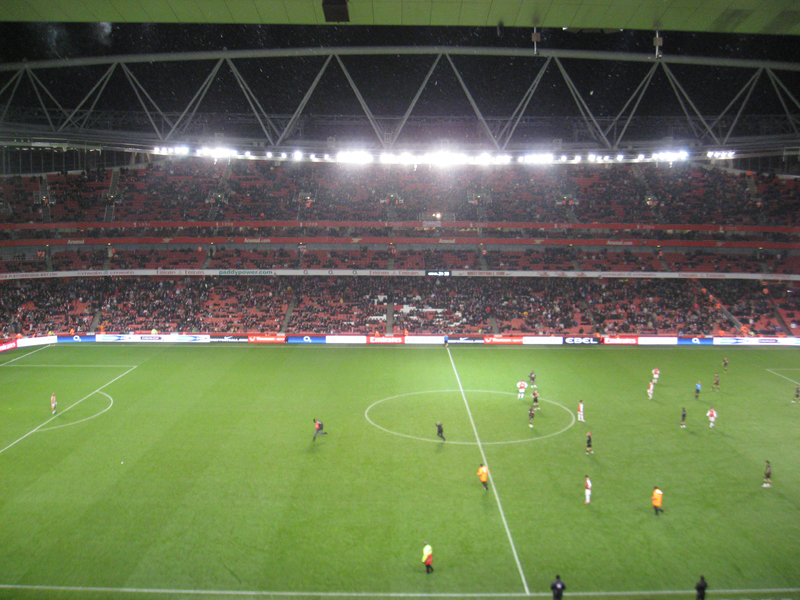 A little trickier this week with no Man Utd, a tough away match for Arsenal and a testing home game for Chelsea. 1. 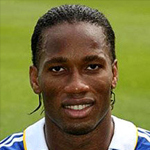 Drogba/Chelsea – Man City are a decent side but rubbish away from home. It will be interesting to see how Mancini lines them up after they lost at Stoke in midweek. Drogba might not have got the better of Lucio on Wednesday but a Premier League defence shouldn’t pose too many problems. Certainly not one with Lescott and Toure in the middle anyway. 2. Kuyt/Liverpool – Not someone I’m particularly keen on but there really are few obvious captain choices this week. Liverpool have improved in recent weeks and should beat Blackburn at Anfield. Torres is still out injured (though may be a sub) so Kuyt is probably the biggest goal threat. 1. 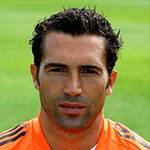 Hilario/Chelsea – With Cech out for a few weeks this could be a sneaky way to get some cheap clean sheets. Chelsea admittedly don’t play next week but their games after that are relatively straightforward. A little pricey at £4.9m but cheap for a Chelsea defender. 2. Bale/Spurs – I never thought I’d be recommending him here but to his credit he’s finally over his jinx of not being on a winning Spurs team. Tottenham are pretty tight at the back right now and Bale has been getting bonus points galore in the last five matches (10). He doesn’t really assist (first one last week) but could be a good differential in a mini league. 3. Kalinic/Blackburn – It seems many people who have had Darren Bent since the start of the season are finally looking to get rid of him. 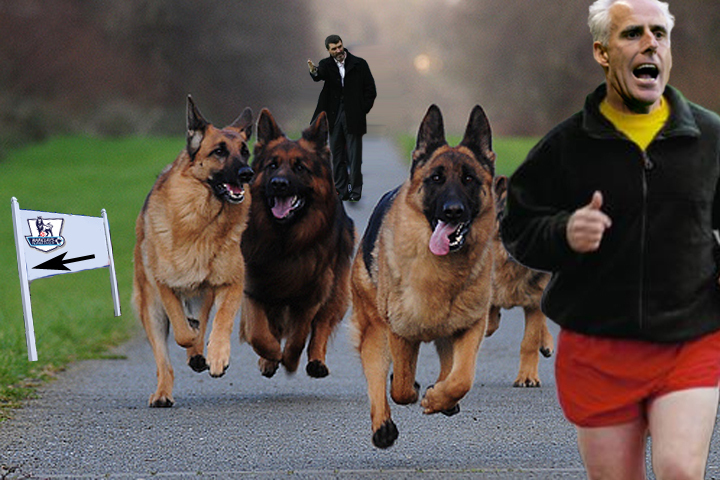 With Sunderland playing terribly and his value dropping, the need arises for a cheap third striker. Kalinic has quietly been playing pretty well with a couple of goals recently and some bonus points too. He won’t score many more this season but might be worth keeping an eye on. 1. 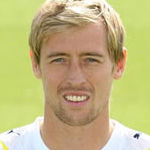 Crouch/Spurs – Despite featuring in every Spurs match this season, has only five goals and just one since Christmas. Pavlyuchenko’s recent form might push him out of the side. 2. Adebayor/Man City – A three match ban means he’s out till gameweek 32. 3. Cech/Chelsea – Out for a month. So after 10,000 words worth of pre season previews, they’re finally all up and available to mock at as all my predictions inevitably get proven wrong within a few weeks of the season starting! 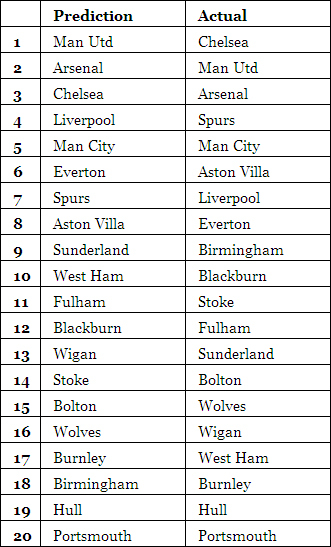 To make things easier I’ve added all of them here in the positions I predicted each club to finish. We’ll take a look back at this in May and see how accurate the table was. 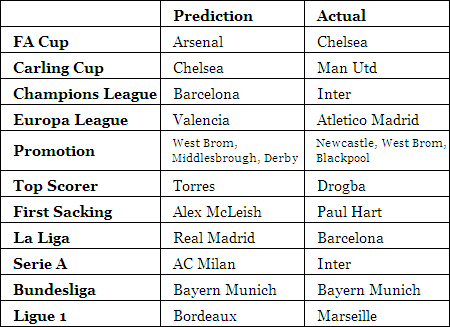 I’ve added a few other season predictions at the end too. Promoted from Championship: West Brom, Middlesbrough, Derby. Top Scorer: Fernando Torres if he stays fit, Robinho if he doesn’t. I find myself in a bit of a pickle this week as I only have nine players available at the moment, two of which are goalkeepers. With Man Utd being in the Carling Cup final, Paintsil and Bosingwa being suspended, and Portsmouth not playing I’ll need to make a couple of changes just to get a full team out. Next week Fulham, Blackburn, Sunderland and Spurs all play twice so that is something to consider too. Last week saw James Beattie as top point scorer with 13. I am willing to bet that will be the first and last time this will ever happen. He has done well though since joining Stoke with four goals in four games. Elesewhere it was a case of Fulham players trying to outdo each other with Schwarzer (12) just beating Johnson (11) who just beat Zamora (10). All got into double figures though. 1. Lampard/Chelsea – I have to say no one stands out this week, Chelsea and Arsenal both face good defensive teams despite being at home so goals may be at a premium. I don’t have Lampard in my team but if I did he would be my likely choice. I could see Wigan holding them to a draw though. 2. Young/Aston Villa – Martin O’Neill has laid his cards on the table and decided that he would rather qualify for the Champions League instead of win the UEFA Cup. I know the feeling. 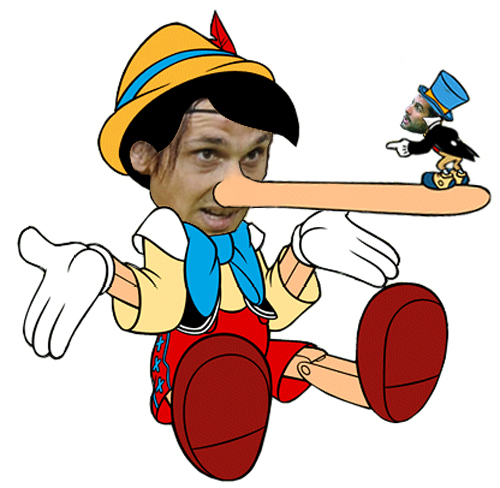 His first team will be fully rested having not played against CSKA. 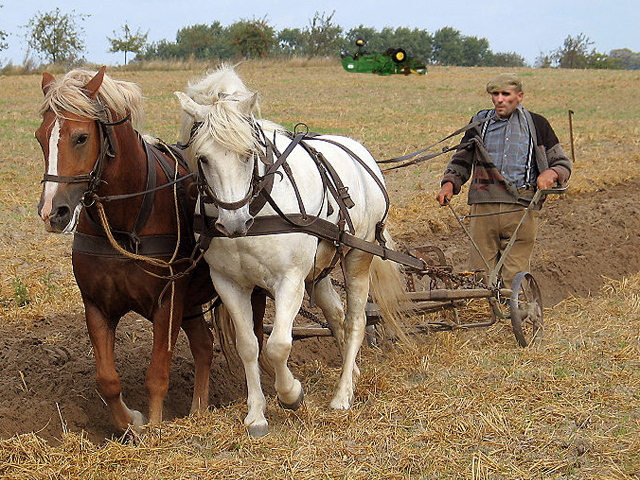 Stoke are a big physical team so you could well see Carew and Heskey play together. All this leads to plenty of crosses from Ashley Young. Hopefully one of these crosses will end up as an assist. 3. 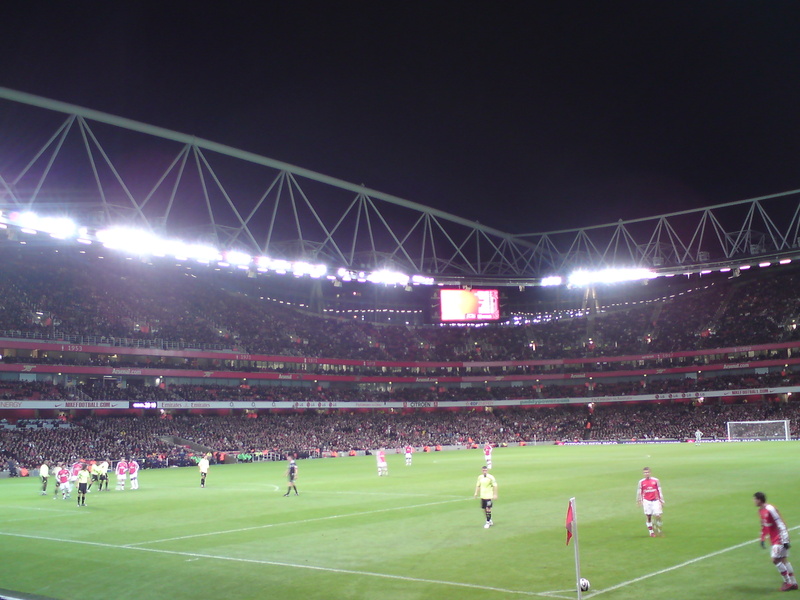 Van Persie or Bendtner (if you’re feeling very reckless)/Arsenal – Fulham are a tough side to break down but they have only scored three away goals this season. 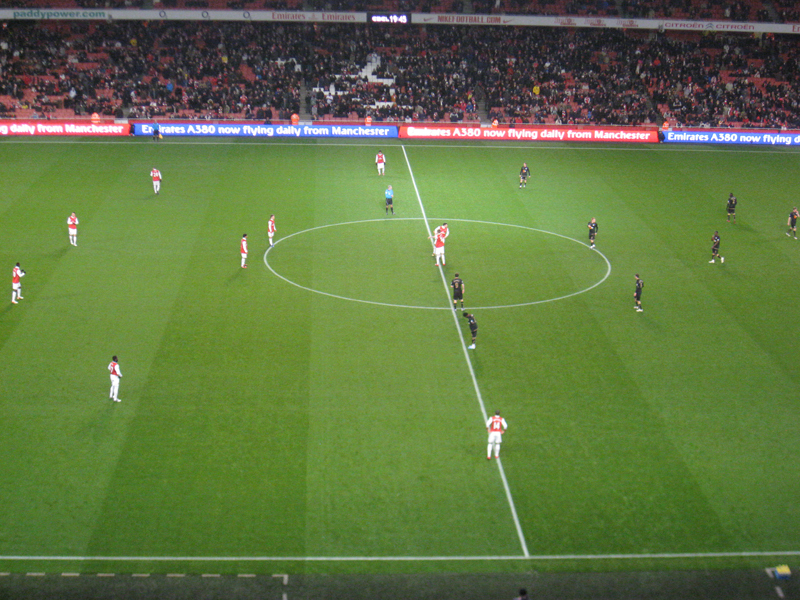 Arsenal will no doubt be camped in their half from the first minute onwards and in the absence of Eduardo, Adebayor and Walcott, the aforementioned RVP and NB will probably continue up front. I’m hoping clutching that given enough chances Bendtner might score. Please. Thank you. 1. Santa Cruz or Roberts/Blackburn – A decent game this week against Hull and then two next week against Everton and Fulham. Either is worth a shout for a couple of weeks even though Blackburn are struggling. 2. Arshavin/Arsenal – Seeing as he can’t play in the Champions League, Wenger will likely use him in every remaining league game. He’s pricey, and listed as a striker, but he showed enough against Sunderland to suggest that he will be a good source of points for the rest of the season. 3. Baines/Everton – The Toffees are pretty solid right now and stand to take a more defensive approach now that Arteta is out. He’s finally established himself in the back four and at £4.6M is a million cheaper than any other Everton defender who plays regularly. Tony Hibbert doesn’t count, he can barely be classed as a footballer let alone defender. 1. Arteta/Everton – Out for the season. He’s at an odd price range where there isn’t an obvious replacement. Maybe SWP or Cahill I guess. If I had him I’d go cheaper and spend the money elsewhere. 2. Spurs players – If last season is anything to go by Tottenham’s season officially ends on Sunday after the Carling Cup final. I avoid their players anyway, but even more so now that they won’t have anything to play for. 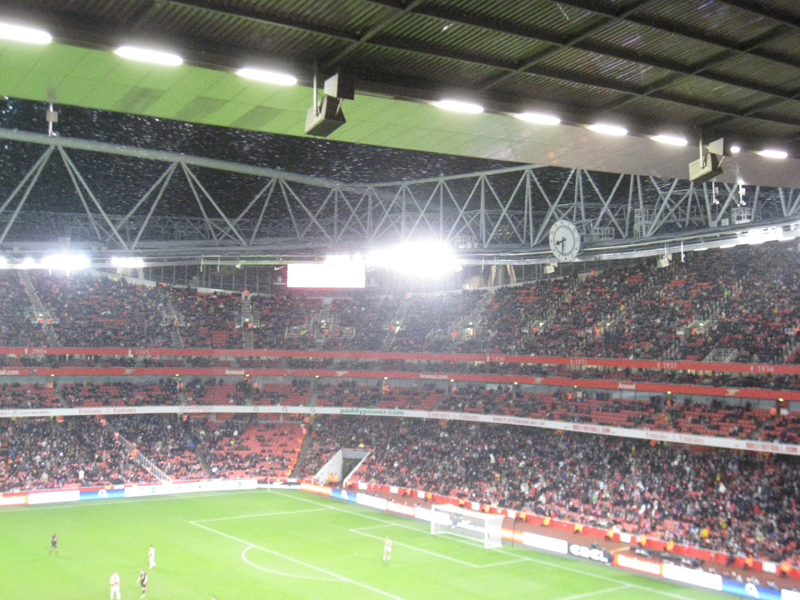 The fact they may still find themselves in a relegation battle does not make them suddenly appealing either. 3. Liverpool players – Watch Rafa rotate as he begins to prioritise the Champions League. This week saw Arsenal striker Nicklas Bendtner as the theme. Let’s not forget this is someone who believes they should be starting every game, every week. This miss against Roma on Tuesday would indicate he’s wrong. 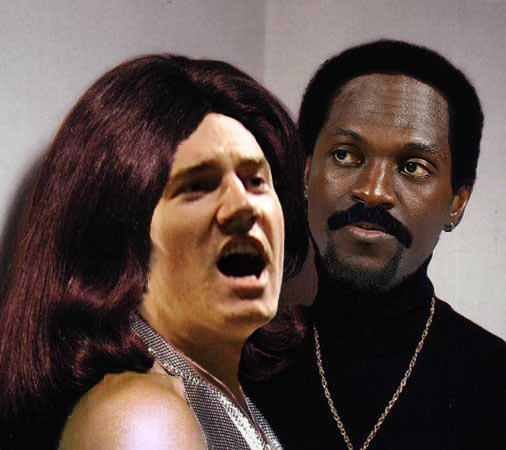 Anyway, remembering his clash with Adebayor in last season’s Carling Cup I decided to go with a bit of Ike and Tina Turner. Nicklas may think he's "simply the best" but sadly for him Ade is the Ike in this relationship. The rest of the gallery is here. We’re mentioned at the beginning but they haven’t put it up for some reason.